25 reasons Spring is a great time of the year. Business renaissance. If you’re in a seasonal business that benefits from warmth, like landscaping or outdoor dining, it’s time to roll! Temperatures are moderate. 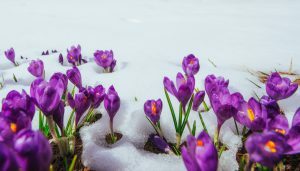 Spring marks the end of frigid winter and the transitional period to scorching summer. The earth's axis is angled between its closest and furthest position from the sun, when temperatures are the most extreme. You can finally ditch the winter layers. There are more daylight hours. Following the Spring equinox, when the earth’s horizon is perfectly aligned with the sun, the days begin lasting longer and the nights get shorter. That means you have more time in the day to work or play. Birds and other animals come back. Many species of animals migrated south to follow their food supply during the winter. Once the Spring returns, these animals do, too. There is no better indicator of Spring than birds chirping outside your window. Here comes the sun. The thing about all that meager daylight during winter is that it’s basically just a gray haze. Even when it’s supposed to be out, the sun just hides behind constant cloud cover. But then Spring hits, the clouds start to roll away, and as the days get longer, the sun decides to help out again. You’re actually happier. Exposure to sunlight increases the hormone serotonin in your brain, which makes you feel happy. You feel energized. Exposure to sunlight decreases the chemical melatonin in your body during the day and increases it at night, which helps you sleep better. Trees suddenly have leaves. Spring brings that wonderful light green growth back to plants and trees. And successful spring leaf growth ensures a cool canopy to relax under during the hot summer. Plants turn green. It’s amazing what a little sunlight, moisture and warm soil can do for plants and grass. plants convert sunlight into energy and produce the pigment chlorophyll, which turns them green. And it’s not just nice to look at—a study found that people who saw green before a challenge came up with more creative solutions! Spring’s green plant life will hopefully do the same! Fruits and veggies are ready to eat. After staying dormant all winter and conserving energy underground, many fruits and vegetables sprout in the spring. There is nothing more pleasant than eating fruit right off a tree or a string bean or peas from the pod. Flowers bloom. After months spent conserving energy, colorful flowers bloom in the spring, signaling to the bees that they are ready for pollination. Science has proven that looking at buttercups can make you happy. A study found that people in yellow rooms at cocktail parties were more lively and talkative. Spring’s yellow flowers could also lift your mood. No more ultra-dry air. More moisture in the air means your skin itches less! There’s also more precipitation in the form of rain, so sit under a metal roof during the rain for a relaxing evening. You can open your windows. With warm weather comes warm air. You can open your windows to allow the breeze to refresh your home. You can get your vitamins naturally. Sunlight triggers your body to produce the vitamin D3, which keeps your bones strong. Lower utility bills. 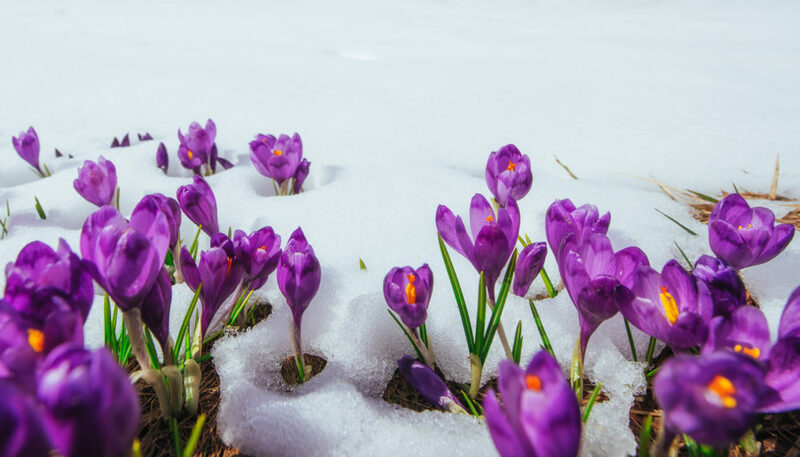 One of the best things about Spring is that it gets warm enough that you don’t have to worry about running the heat, which jacks up your gas bill, but it’s not so hot that you have to crank the AC either. You can see green grass again. Sure, it’s kind of pretty when snow covers everything…for at least a day or two. Then it just starts looking like the depressing surface of some alien moon. But Spring brings back the green, and reminds everyone how the earth is supposed to look. Baseball (and other outdoor sports). Play ball. And if you’re in Chicago, as we are, go World Champion Chicago Cubs! Spring welcomes a revival of other awesome outdoor sports, too, like watching your kids running free on a soccer field. Easter. Renewal of hope, Easter candy, Easter dresses and hats. The Seder. Cadbury cream eggs and peeps, or jelly beans, or your candy of choice. Fresh smells. There’s nothing like the smell of blossoms and other new Spring smells in the air. City parks are alive again. Every day is a nice day for a stroll. Let's go fly a kite. Windy spring days have the power to decorate the sky. Backyard vegetable gardens. And we're still optimistic about our gardening ability. This may go away by summer. Eating outside. Even if you're tightly gripping your jacket the whole time, there’s nothing more enjoyable on a leisurely day than to sit outside and enjoy a tasty meal or sip on a refreshing beverage. Festival season. Whether you’re a music lover, food aficionado or crafts connoisseur, Spring brings back all of the best festivals. Less treadmill time. And more opportunity to run or walk on the trails and byways that are coming to life, without bundling up and breathing cold air. Thanks to mentalfloss.com for a lot of the scientific facts included here.